Debt repayments by the world’s poorest countries have doubled since 2010 to reach their highest level since just before the internationally organised write-off in 2005, campaigners have warned. The Jubilee Debt Campaign (JDC) said a borrowing spree when global interest rates were low had left many developing nations facing repayments bills that were forcing them into public spending cuts. Plunging commodity prices, a stronger dollar and rising US interest rates had combined to increase debt repayments by 85% between 2010 and 2018, the JDC said. 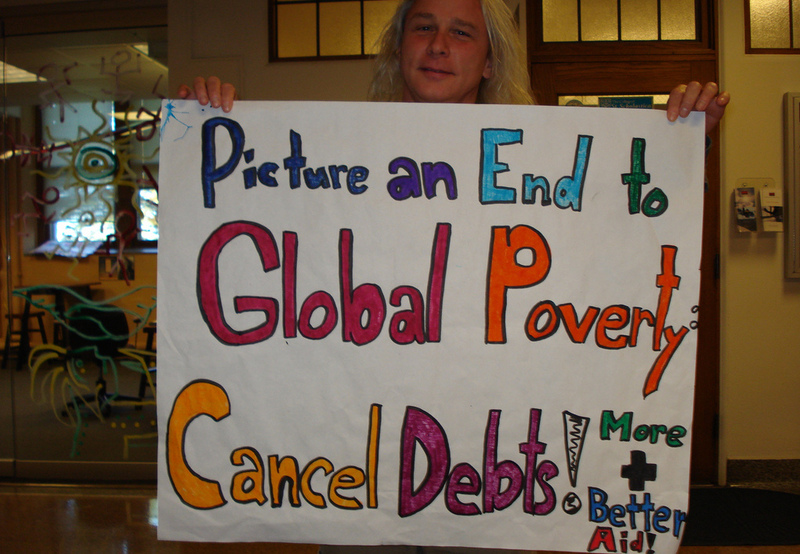 The bid to reduce the unaffordable debts of the world’s poorest countries was prompted by grassroots activism in the late 1990s and early 2000s, first with the Jubilee 2000 campaign and then with Make Poverty History. But the financial position of many developing nations has again deteriorated in recent years. Repayments account for more than 12% of government revenue on average, the highest level since 2004, the year before the G8 summit held at Gleneagles agreed a comprehensive package of financial assistance involving aid and debt relief. The International Monetary Fund has become increasingly concerned at the financial vulnerability of poor countries and will discuss the issue at its spring meeting in Washington DC next week. Two-fifths of low-income countries are assessed by the IMF to be at “elevated risk of debt distress”, a doubling since 2013. Tim Jones, the JDC’s head of policy, said: “The growing debt crisis needs urgent international attention. A vital first step is to require that all loans to governments are publicly disclosed, allowing parliaments, media and civil society to hold governments to account for new borrowing. “In addition, when crises arise, the IMF should stop bailing out reckless lenders, and require debts to be reduced instead, so that the costs of crises are shared between borrower and lender. All too often, the lenders who helped to cause the crisis are bailed out, while all the costs of irresponsible lending are borne by people in the borrowing country. External loans to developing country governments more than doubled from $191bn (£14.5bn) in 2008 to $424bn in 2017, the latest year for which figures are available. Calculations by the JDC found that in the 15 countries with the highest debt payments, public spending per person fell in 10 of them between 2016 and 2018. In oil-rich Angola, which was hit by the collapse in the cost of crude in the mid-2000s, debt payments were 57% of government revenue in 2018, while public spending was cut by 19% between 2016 and 2018. Cameroon has cut spending by 20% and Egypt by 23% after their repayments rose to 30% and 20% of government revenue respectively. All three countries are on IMF programmes. Across the 15 countries with the highest repayments, public spending fell by an average of 4%. In contrast, of the 15 countries with the lowest debt payments, public spending per person fell in just two between 2016 and 2018. On average across these 15, public spending increased by 11%.